Thank you for your words, Frank. 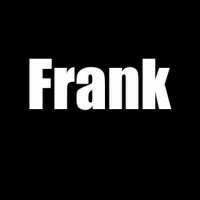 I liked this a lot, Frank. My emotions flexed reading every line. It even conjured up a picture and feelings of someone. Sigh. Up. Down. Joy. Pain. Great piece. Great piece. I believed him and then he broke my heart. Your words give me hope that true love actually exists. Thank you. Wonderful! Goes right to the heart. I can say is you have a lovely heart! Peace be with you, friend.